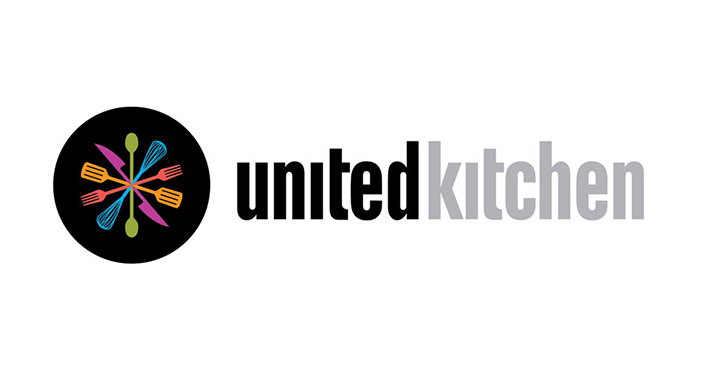 Community Chefs: United Kitchen, formerly, From Scratch Marketplace had aspirations for a stronger, more developed and well-communicated brand. 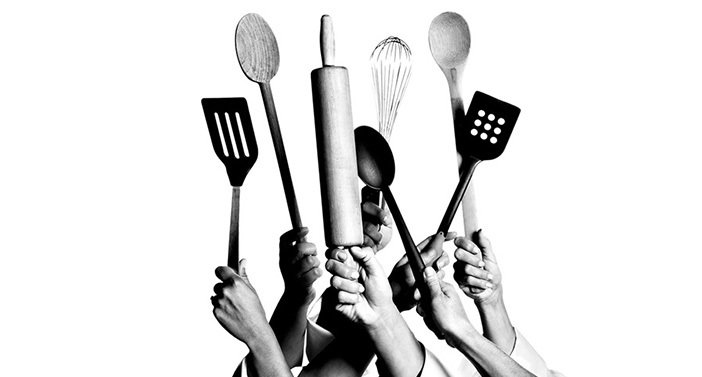 They offer local food entrepreneurs a commercial kitchen rental and retail space that allows chefs the opportunity to explore their passion and sell their products. 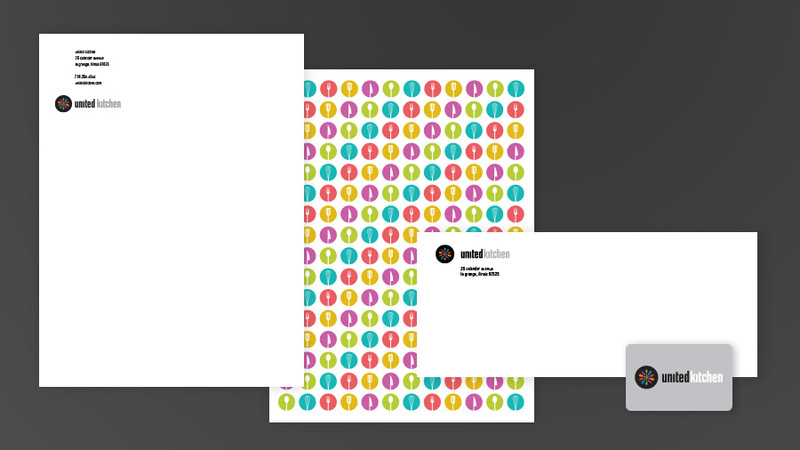 The challenge was to create a new logo and brand identity, interior and exterior environment, website, and an overall cohesive visual plan that clearly communicates this unique company. Working with UK was a great experience and I got to meet some amazing chefs! Crisp, black and white photography paired with the bright color palette provides a distinct brand presence and personality. The website homepage features different companies on a rotating banner than can be updated easily each month. 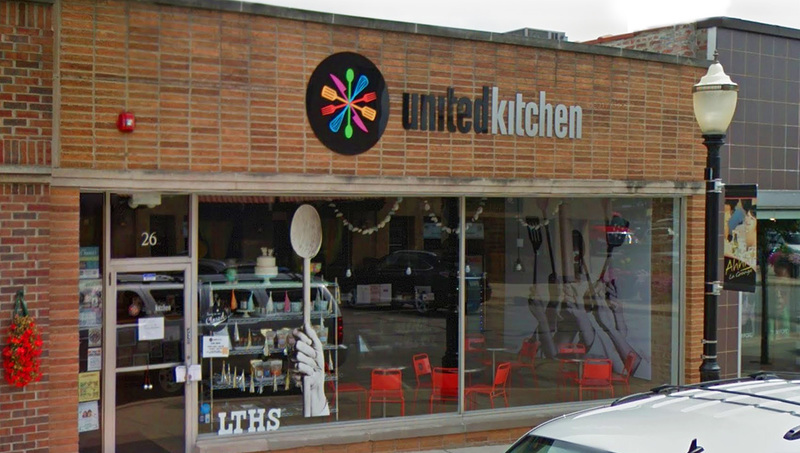 Users can see the individual chefs who work and sell out of United Kitchen on the website, as well as the current menus and rental availability. 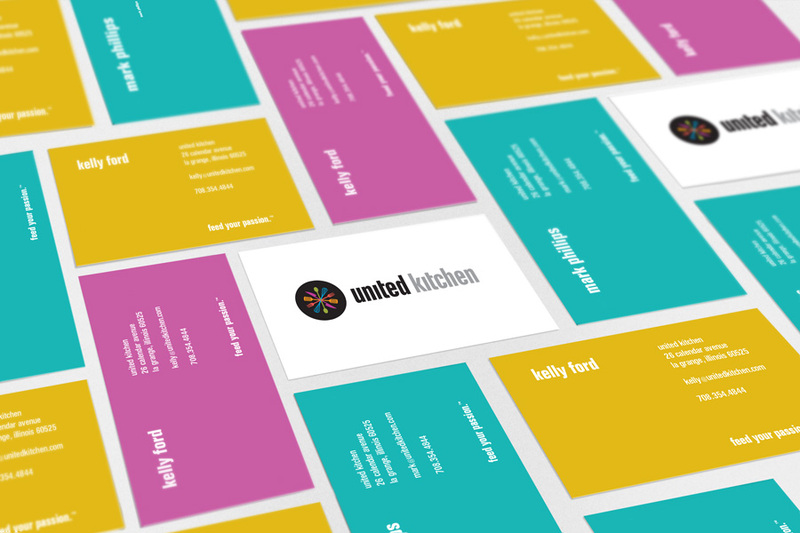 Each business card is unique with a different brand color from the United Kitchen identity.